Book a Limo for Fathers Day and Receive $100 Off! There are more than 70 million fathers in the United States today and they all deserve our love and appreciation for everything they do for their families. Celebrated annually on the third Sunday in June and on various days in all corners of the world, Father’s Day was established with the following things in mind: to honor all fathers, to celebrate fatherhood, to cherish paternal bonds and the influence of fathers in our society. This year, the holiday falls on June 17 so if you have not made any plans yet, you should be starting! One sure way of surprising your old man and showing him how much he means to you is to book a limo and spend a full day of relaxation together and strengthening your bond! 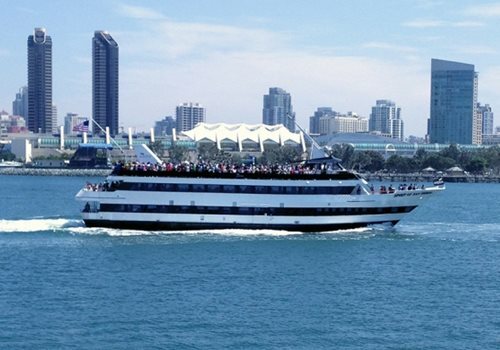 From a San Diego brew tour to a Temecula wine tour, a game in Petco Park, brunch cruises or the best steak in San Diego, we can safely take your father and his company to any location he desires. Whether you let him choose the itinerary or want to surprise him with one of the many fun activities offered throughout the county this year, our professional and courteous chauffeurs will ensure your father receives nothing short of excellent VIP treatment all day. Anybody can afford to spend a lovely day with their dad and the options are quite endless. It is quite a well-known fact that dads are notoriously harder to shop for than moms, but that is no excuse to get your old man another "Best Dad" coffee mug. What can you possibly get him this year that is both useful and not boring? For the dad that has it all, we have compiled a short list of activities that your dad will surely love! We also offer customized brewery tours in San Diego! 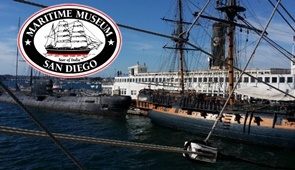 If your father is curious about the San Diego craft beer scene, or just wants to spend a good old' classic day with you drinking beer and having fun, this is just the right thing for you. The city is home to some of the finest breweries around and there are 120 breweries to choose from. During our customized brewery tours, you could either spend a whole day visiting as many breweries as possible with your father and sampling tasty craft beer or just hang out with your favorites. Having a tough time choosing a few breweries? Your chauffeur can help you choose your own itinerary for a special limo beer tasting tour that your father will surely love! Brew tours last about 4 hours or more, depending on the number of breweries you are planning to visit. Your tour starts by getting picked up by your chauffeur and taken to the first choice of your brewery. This takes about 25 minutes to an hour, depending on the brewery's location. We also offer a free 6-pack of craft beer for every tour, so you and your dad can start the party as soon as you get into your limo! Wine tasting tours are a fantastic way to show your old man how much you care about him in a classy, yet inexpensive way. 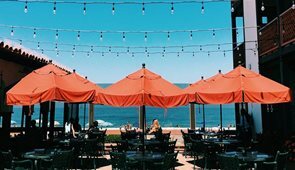 Temecula is located at the perfect distance from San Diego, allowing you to spend a full day surrounded by beautiful views while sipping on award-winning wines. Some wineries have their own restaurant on the premises, which means that you can have a gourmet lunch or dinner together, paired up with exquisite wines carefully chosen to complement your meal. Tours last at least 5 hours, depending on how many locations you want to visit. Your friendly and professional chauffeur will ensure your father and you receive VIP treatment all day and will keep you on schedule throughout the day. 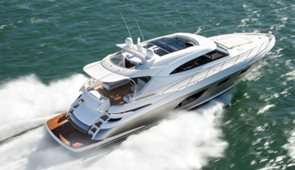 For a fancy celebration, take your father on a special dining cruise aboard one of the Flagship's finest luxury yachts. You can expect special Father's Day treatment, first-class service, gourmet cuisine and a scenic cruise to remember. You can choose from the Beer'N' Brats Brunch or the Prime Rib Dinner. The daytime Beer'N' Brats Brunch features traditional American breakfast favorites, seafood, carved meats, omelets and ice-cold beer. 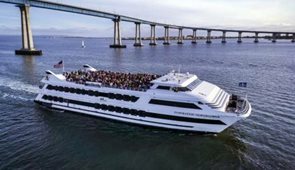 The Prime Rib Dinner cruise includes a 3-course meal, including Flagship's famous, tender and juicy prime rib, live entertainment and gorgeous nighttime views of San Diego Bay. Make it a memorable day by booking a limo to take you and your father to and from the Bay! We can take care of cruise bookings and everything in between to ensure your father feels like a VIP all day! Let Us Be Your Designated Driver for the Day! We would be more than delighted to help you plan this day and turn it into something unique and classy for your father and his company. No matter what you decide to do, we would be happy to be a part of making this Father's Day truly special! We will have plenty of ice and champagne in the limo upon arrival and can stock it with anything else that you wish. Your limo will arrive on time, sparkling and ready to take your father and his company to the most happening places for this holiday. Call us at 858.336.1894 for more information and booking!